Started with a brace against Arsenal, now he’s here – Marcus Rashford. Liverpool bottled it. Hard. There’s no way around it: the team that displayed some of the most exquisite football this season has been defeated by two route-one goals involving David de Gea kicks into final third and Romelu Lukaku’s Fellaini-eque presence. Louis van Gaal probably laughed in front of TV when his former team kept bullying Dejan Lovren (6 foot 1) and Virgil van Dijk (6 foot 3) in the air – exactly the same way the Dutch boss bullied lesser Premier League clubs with another Belgian, only sporting much fuzzier haircut. That being said, United have plenty of positives to take on top of their good result. Ashley Young (6 tackles, 5 clearances, 4 interceptions, 0 fouls) has comprehensively outplayed Mohamed Salah; Nemanja Matić bossed the midfield against Emre Can and James Milner. Finally, at the age of 20, Marcus Rashford has added his 6th and 7th goal against top six opposition, scoring an opener with a masterful, backheel flick that left Trent Alexander-Arnold for dead. Will the lad put £57 million man Martial forever in the shadows? Pace and power. Pérez, Gayle and Kenedy ripped through Pellegrino’s team. Southampton are so far down the rabbit hole, it’s not even funny. The team that finished 2016/17 season eighth with 46 points and a -7 goal difference is now seventeenth, with 28 points and a -15 goal difference. Since November, they’ve only won two league games out of 20 played, only edging out West Brom’s abysmal win record thanks to a direct encounter with them at Hawthorns. At St. James’ Park, Saints were back to their usual selves: unfocused, sloppy on the ball, toothless going forward. #PellegrinoOut was trending again in Hampshire. Newcastle, on the other hand, came out buzzing and it didn’t take long for them to pretty much secure the vital three points. 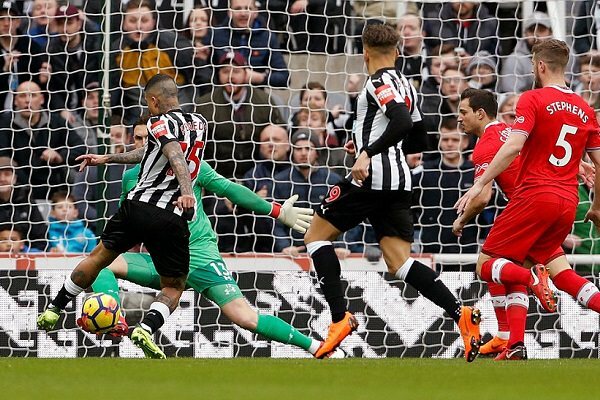 Chelsea loanee Kenedy was the main man again, first chesting down Jonjo Shelvey’s superb pass to make it 1-0 and then, scoring from easily the greatest counterattacking move of the season. From Dubravka to Gayle, Toons displayed outstanding quality and with home clashes with Huddersfield and West Brom yet to come, they are now one of the safest bets to stay up. The mess West Ham are in at the moment, in one picture. We’ve seen a lot from Irons in the past two years. There were back-to-back defeats to a Romanian side Astra Giurgiu; there was Dimitri Payet’s great escape from a London prison; there were four goals conceded to West Bromwich Albion; there were multiple, four-or-more goal defeats to Arsenal, Liverpool and Manchester City. 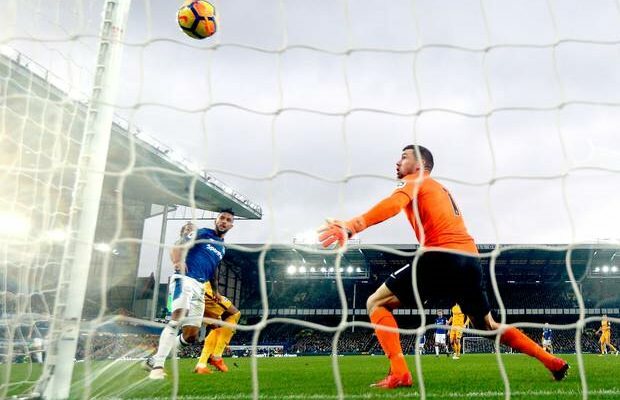 This season, there was also a 0-4 loss to the worst Everton team in years, marked by Wayne Rooney’s half-way line goal which completed his hat-trick. It’s been a hilarious ride – but never as laughable as today. On Saturday, we’ve seen pitch invaders. 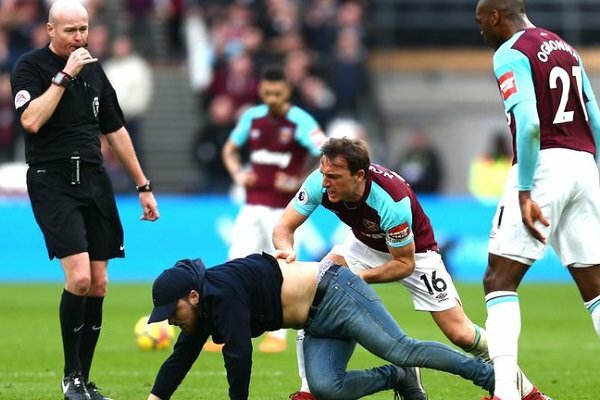 We’ve seen captain Mark Noble completing as many tackles on fellow fans (?) as on Burnley players. We’ve seen a corner flag being planted in the centre circle by a bald man. We’ve seen rabid crowd raging out against owners David Gold and David Sullivan, who fleed the stadium before the final whistle. Given the clubs’ dire situation, all of that would’ve been understandable – if it wasn’t the 25th anniversary of Bobby Moore’s premature death. Seriously, West Ham fans? Couldn’t you at least wait a week with your crap? This tap-in didn’t do the trick – James Tomkins has spoiled Olivier Giroud’s party. While West Ham are struggling to defend at home against Burnley, their youth system product James Tomkins continues to make positive impact at Crystal Palace. A visit to Stamford Bridge has not fazed him at all and once again, he’s been a standout for an otherwise awful Roy Hodgson’s side. 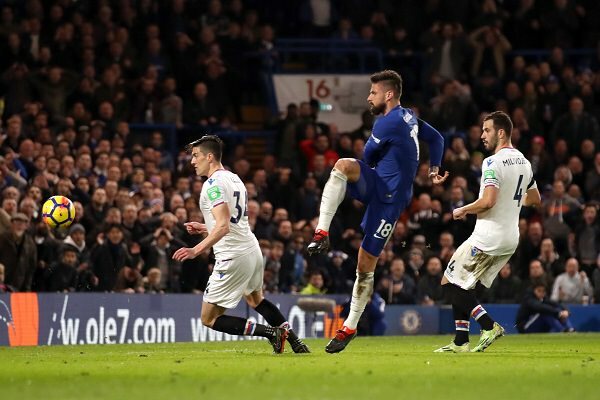 The way he cleared Olivier Giroud’s tap-in deserved nothing but praise and he’d further build on it by taking another crucial shot on his body to deny Willian what looked like a guaranteed brace for the Brazilian. Unfortunately for the 28-years old, the team that surrounds him is a currently a mixture of fatigue, incompetence and bad luck. Christian Benteke had yet another terrible game; goalkeeper Wayne Hennessey should’ve done better with the first goal. New forward in town, Alexander Sørloth has hit the post and had a goal wrongly disallowed. In an otherwise dominant Chelsea performance, Eagles have shown a lot of fight but still came out empty-handed. Is decent end-of-the-season calendar enough to keep them up? Another week, another manager who completely outplayed Pardiola. Alan Pardew. Relegated and sacked with Charlton. Sacked following a half- decent spell at then-League One Southampton. Had a one, brilliant season at Newcastle, finishing above Champions League winners Chelsea. Got poached from Magpies by Crystal Palace just around the time when everything started to go wrong at St. James’ Park. Nearly guided Palace to a relegation after instilling the all-out-attack style into the team. Eventually, accepted the job at Hawthorns, who were desperate to avoid the relegation. It’s done now. The relegation is imminent. This season, sacked Tony Pulis won two out of fourteen league matches; Pardew, still in charge, won one in sixteen. Pulis lost six games; Pardew lost ten. Pulis conceded three or more goals on three occasions; Pardew did the same on five. 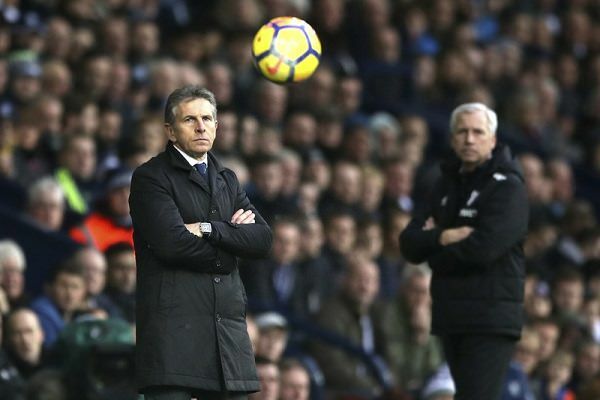 Pulis changed the squad, removing the underperforming players; Pardew insisted on playing the awful likes of Jake Livermore, Hal-Robson Kanu and James McClean. This “new” WBA even took the lead against Leicester – but the rest was business as usual. Baggies, you have been mugged there. Theo Walcott only needed to be there. That was enough to take the lead. If there was ever a proper mid-table game, it was this one. Both teams on 34 points; both fighting for nothing more than a respectable finish after an exhausting campaign. Brighton coming to Liverpool on a good run of form, with three wins and two draws in their last five matches; Everton looking to bounce back from poor defeats at Watford and Burnley. For an hour, the match was exactly as expected – balanced. And then, things changed. Up to this point, Gaëtan Bong’s career highlights featured a Greek Superleague title with Olympiacos, suspected racial abuse spat with Jay Rodriguez and a kick received from Romelu Lukaku, who somehow evaded disciplinary consequences. This time, the French-born Cameroonian has added a textbook error to his scrapbook, placing Yannick Bolasie’s cross in the back of his own net before Theo Walcott could get on the end of it. This was Brighton’s fifth own goal of the season and they went on to lose with a whimper, 0-2. The moment that defined the whole game – Ayew knows how badly he screwed up. Just two weeks ago, Swansea boss Carlos Carvalhal said: “It’s like if you and me went for a picnic. We take a chicken and I eat all of it and you have none, but statistically you have eaten half of it. This is why I don’t look at statistics.” On Saturday, his lads didn’t look at those either. After conceding 30 shots without attempting a single one, they’ve somehow secured a precious 0-0 draw at Huddersfield. All while having 19% (!) possession and not even a single corner to Terriers’ twelve. Simply remarkable. Of course there was a reason for all that. After the earliest sending off of the season, the visitors had to manage nearly 80 minutes of play without their most potent goalscoring threat. 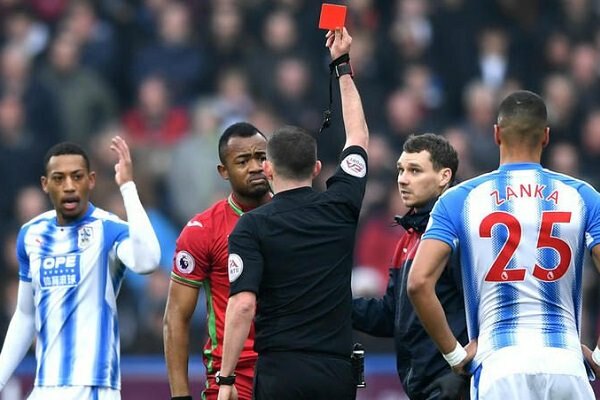 Jordan Ayew’s tackle on Jonathan Hogg was about as dangerous as unneccessary. They were dueling for a loose ball that, if intercepted by either of them, would not, by any means, result with a dangerous attack. Yet, the Ghanaian forward went studs up into the challenge, leaving the referee Michael Oliver no choice but to dismiss him. 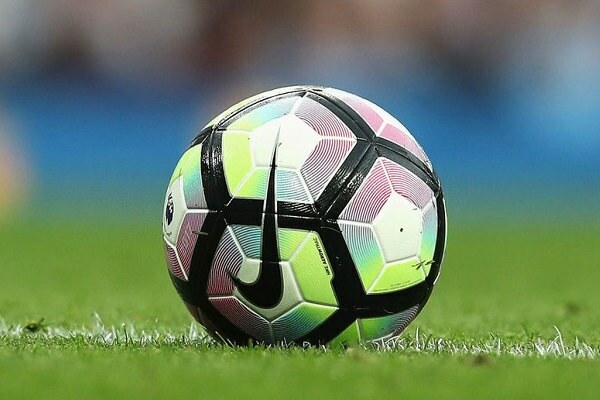 A draw did not clarify anything – but it’s circumstances strongly indicate yet another, good Premier League season for Swans next year. Don’t let the scoreline deceive you. After establishing an early lead, Arsenal have struggled against Watford and the fate of the match has not been sealed until 59th minute, when Aubameyang struck to make it 2-0. Hornets even earned a penalty immediately after that but Troy Deeney’s shot flied straight at Petr Čech and the oldest Gunner on the pitch could finally celebrate his first spot-kick save for the club. However – despite Deeney’s karmic failure, he wasn’t anywhere near the level of the worst player on the pitch. Can Alex Iwobi show more credentials for the Arsenal job than just being Jay-Jay Okocha’s nephew? 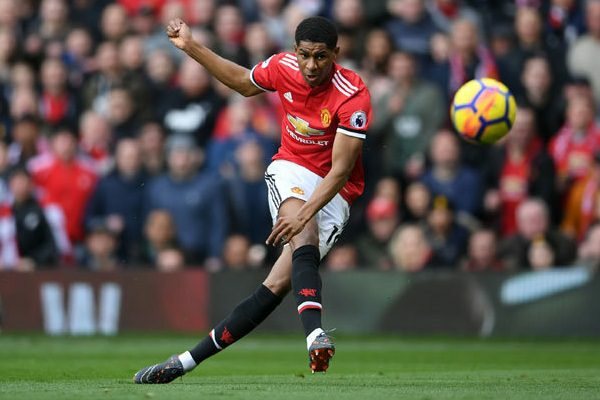 During the weekend in which a year younger Rashford has won a North-East Derby for United, the Nigerian lad played another diabolical game of football. He skied one shot, could not control the simplest of passes and eventually managed to frustrate Mesut Özil – all well before the halftime. 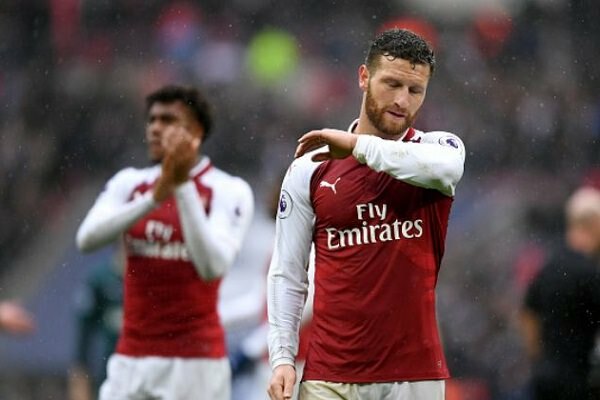 In the second half, his teammates simply stopped giving him the ball – and yet, he still nearly managed to ruin Aubameyang’s goal with offside presence. Considering that he’s provided mere 2 goals and 4 assists in 30 games this season – it’s time for someone at Emirates to make a decision about the guy. This year, Son has replaced slumping Dele Alli as Spurs’ second biggest threat. Cherries are definitely not getting relegated this year. They’ve just suffered a terrible defeat after getting absolutely battered in the second half – but the way they’ve started this match showed how much potential and heart that side has. Before scoring a composed, bottom-corner finish, Junior Stanislas had to rattle the crossbar first and the hosts had absolutely no problems invading Spurs’ defensive third. They came up with 14 shots to visitors’ 12 and if only they could sustain this level of performance for 90 minutes, the result would’ve been different.